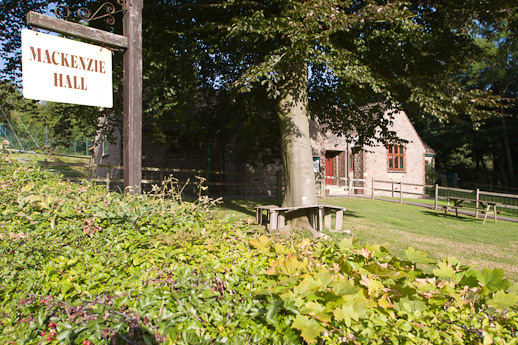 Mackenzie Hall, the village hall for Brockweir and Hewelsfield, has served the local community since 1937. It is available for hire and is ideal for functions, meetings and theatrical and musical productions. It has a main hall, a meeting room, a stage with a dressing room and a fully equipped kitchen. The Hall, which has Charitable status, was given to the local community as a social facility. It is run by a group of Trustees who aim to keep the hall well maintained for present and future generations. The Hall can accommodate 190 people closely seated or 100 seated at tables. There is parking in the car park at the front of the Hall for about 20 cars. Further roadside space is available. There is a wheelchair ramp and disabled parking for 3 cars which can also be used for temporary unloading and loading. Brockweir and Hewelsfield parish is in the beautiful Lower Wye Valley and is in a designated AONB (Area of Outstanding Natural Beauty). The Brockweir and Hewelsfield Village Shop was built in 2004 with grants from Defra and other organisations and funds raised by the villagers. It is non-profit making and its policy is to sell as much locally produced food as possible. It has a solar voltaic roof and a ground source heat pump that provides more than adequate heating and hot water throughout the year. It sells freshly baked bread and has a thriving cafe where villagers and visitors meet over tea and coffee or home baked food. The playing field, located next to the village shop,is a community project. Money for the project was raised by a Forest of Dean District Council Grant and local fundraising by a small group of dedicated people who formed themselves into The Brockweir and Hewelsfield Play Group Committee Trustees. These Trustees lease the land, which was always intended as a recreation facility, from Mackenzie Hall Trustees. On the land at the back of Mackenzie Hall is a hard tennis court for members of Brockweir Tennis Club.